If you make small group presentations and do not need the brightness of a full-size projector, the Optoma PK320 is a new 100-lumen pico projector that should interest you. It is small, light, and full-featured with a street price of about $425. Its 854x480 native resolution works well for both widescreen movies and standard 4:3 presentation material. And if you store your images in the projector's internal memory or have them on a USB memory stick, you won't have to haul your computer along to display them. Unlike most of its competitors, the PK320 has a built-in Microsoft Office compatible viewer that handles Word and Excel files without file conversion. The PK320 has a rechargeable battery that is specified to last for about 45 minutes in Standard mode and 90 minutes in Eco mode, but it can only put out 50 and 25 lumens, respectively. The AC adapter must be used for 100-lumen output. An optional larger battery extends projection times and can provide 100-lumen output for about two hours. 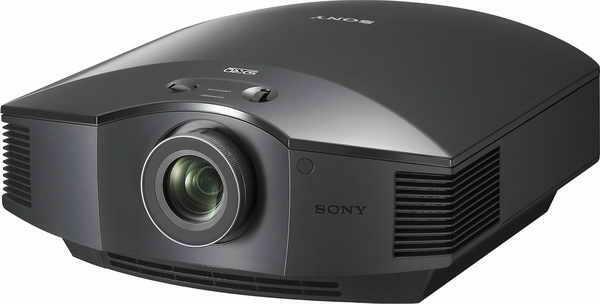 Of course, at 100 lumens and lower, ambient light must be controlled for an acceptable image, but with small groups and an image in the 40" range, performance is very good for a half-pound projector. The PK320 comes with a one-year warranty on the projector and a 90-day warranty on the battery. Since the illumination source is a set of LEDs with a rated life of over 20,000 hours, you will be getting a new projector before you ever have to think about replacing the LEDs. As a DLP-based projector, there is virtually no maintenance required for the PK320 although an occasional vacuuming of the air intake vents is always a good idea. The first thing you will notice when turning on the PK320 is that the remote control looks unconventional. Rather than the usual array of pushbuttons, the remote has a set of seven icons that perform different functions depending on the mode you are in. You can get to a traditional (though limited) display menu that allows tweaking of brightness, contrast, sharpness, and gamma settings. But those same icons can also do source selection and data transfers from your computer. Getting used to what the icons control takes some practice, but it is an efficient method for getting to the functions available on the PK320 once you have some experience using the remote. The PK320 is specified with a projection distance range of 8-235 inches which corresponds to an image diagonal of 5-150 inches, but the optical system of our test unit did not function well over that entire range. Clear focus could be achieved out to a projection distance of about 65 inches which produced an image diagonal of about 40 inches. Beyond that point, the image began to blur slightly. That had little effect on movie viewing where a soft focus can actually improve the look of the image, but small text was hard to decipher at larger than a 40-inch diagonal. I've found that the entry point for 'satisfactory' is 200 lumens in an 8x6. I tested the Optomas and they just don't cut it. The best deal around is the Acer K11--very robust, compact and versatile--the only caveats being that you need either an outlet or a power source, it won't recognize Divx from a thumb drive, and you're better off running the sound via your laptop. I recently purchased a Optoma PK320 pico projector and found two very basic reasons why I will not buy anymore of optoma's products: 1.Their customer service is none existent. 2.The device does not work with flash drives. the advertisement says it does work across some cable that is mentioned in their booklet but doesn't really exist. I have searched in their own website only to find out there is no such Universal to USB Female Adapter cable. I had an Optoma PK201 (slightly smaller and only 20 lumens version of the PK320) for over 3 years. This unit had the same connectivity option as the PK320 and I was very satisfied with it. I used the PK201 mainly for movies when traveling so the shortcomings were not an issue. Movies were watched in the dark at up to 60", a media player was connected to the PK201 with external audio and power was provided externally rather than battery. My PK201 lasted about 3 years till it started losing pixels but this seems to be a common issue among many DLP projectors which was a little disappointing since the rated led life gives you the impression that these units will last a long time. Overall I was still impressed with the unit and I think the PK320 is very similar but much brighter. As for some of the comments below: I can't comment on customer service as I've never had to use them. I'm pretty sure the PK320 will work with flash drives (usb keys not harddrives) as the PK201 did. You will need what is called a USB OTG (on the go) cable which has a male micro usb connector on one end and a female USB A connector on the other end. I had one for my PK201, the same cable (bought 4 years ago) now works with my Galaxy S4 for connecting usb keys. They can be bought on ebay for less than $5. I received the older PK301 as a gift. I've loved the ~20 times I've used the PK301 in the last ~three years, but - despite storing it safely and not taking it out into the world much - it has begun showing "stars" on the image, both bright and dull. The 30-second Google diagnosis suggests an expensive fix. I'm hesitant to shell out a little more for a PK320 when I've gotten so little use out of the predecessor. Can someone comment on the long-term performance of the PK320? I have been very disappointed with Optoma products. With just over a year of what I would call light usage on my PK301, the starring problem began and the the image rapidly deteriorated until the projector was no longer usable. Because of the one year warranty and the cost of repair, I might as well just throw the projector away. My sense is that Pico projectors are not really ready for prime time. They're basically a novelty.